It was in 2014 when Deorro released “Five Hours,” a 5 minute speed-changing rotor blade of memorizing synth and distortion. Ever since, random SoundCloud uploads and a curious unofficial EP ensued. 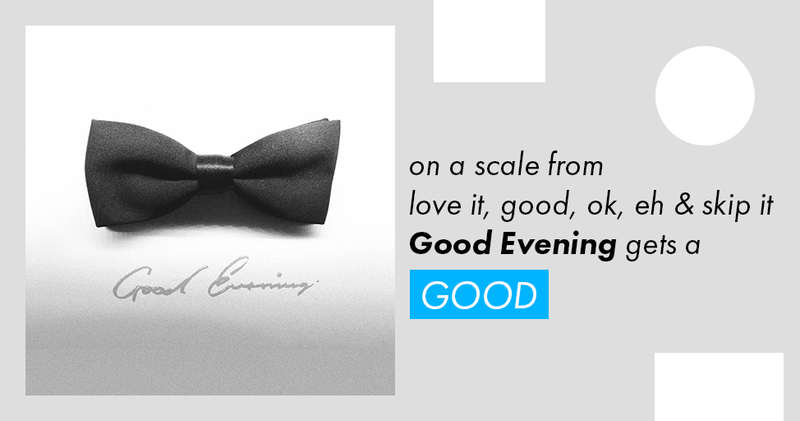 Good Evening is the first time the Panda Funk maestro placed his work above more serious ground, or through the lens of an actual concept. Erick Orrosquieta‘s intention to include past material, including a version of “Five Hours,” could’ve backfired if it wasn’t for strategically placed interludes and like-minded originals. The key was to take the eclectic route, that way all past material created without the album in mind can easily fit within the bounds of a not-so rigid narrative. In actuality, the free-flowing setting (a concert hall or decadent black tie gala) was what established flexibility. However, Erick’s lack of big picture editing kept the debut from becoming an instant classic. The beginning and ending interludes (“Good To See You” and “Pause“) clearly establish a show of sorts. A smattering of applause or cheering is generously embedded within both of them. “Pause” is not even a track but just applause that slowly fades out until we’re left with complete silence lasting longer than a minute. In the case of the title, it acts as an ending but it really is a deliberate pause to clear the air for a so-called encore. The final two alleged tracks, “Bailar” featuring Elvis Crespo and “Five More Hours” featuring Chris Brown, are the most popular among fans as they were promoted outside the SoundCloud realm. Yet, they don’t seem to fit in with the rest of the album despite Erick’s eclectic proclivities, suggesting that their addition is for the sake of familiarity and housing (since they weren’t released in a previous EP or LP). Also, they’re not the originals which clearly confirms the two tracks as mere lure. The radio edit for “Bailar” is used instead of the extended version–which is much better and includes more lines from Crespo. “Five More Hours” is terrible, and does not contain the abrasiveness and uniqueness found in the original–the very version that carries Deorro’s name to this day. It’s impossible to label a singular genre for Good Evening. There isn’t one sound replayed and each track is virtually different. He tackles dubstep, progressive and future house, electro, bass, and even a light semblance of trance on “Find A Way.” Such a vast mix is rare to find in a producer’s catalog, and he surely should be rewarded for making it look easy; though more from the Mexican-American producer’s cultural roots should’ve taken precedence. However, what’s more exceptional is the integration. By using interludes as connecting pieces (perhaps could’ve done without a couple), Erick melts together each sub-genre into one strange but ridiculously fun party. GOOD.